I can overcome the anxiety of leaving my children at home and fly to another country. For me it’s not the separation from my girls but the flying without them. I have “If this plane goes down they won’t have a mother” anxiety. Countries that have wars in their recent history seem to have the friendliest, happiest people. Ok, so this is a complete generalisation but it is what I felt in both Cambodia and Sri Lanka. Wondering through markets without kids is a completely different experience than doing it with kids. I could take my time. Hotel accommodation is ridiculously cheap. I went completely over the top and paid $100US for a room with a private pool. Given I’ve been checking accommodation prices in London, where a generic hotel room will set you back at least $300 per night, this seemed such a steal. 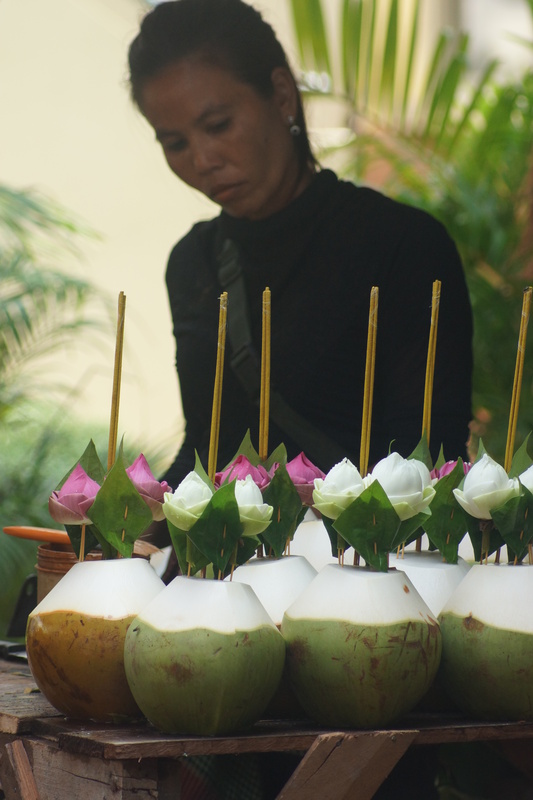 You only need step outside your hotel and stand on a corner to observe the Cambodian lifestyle. 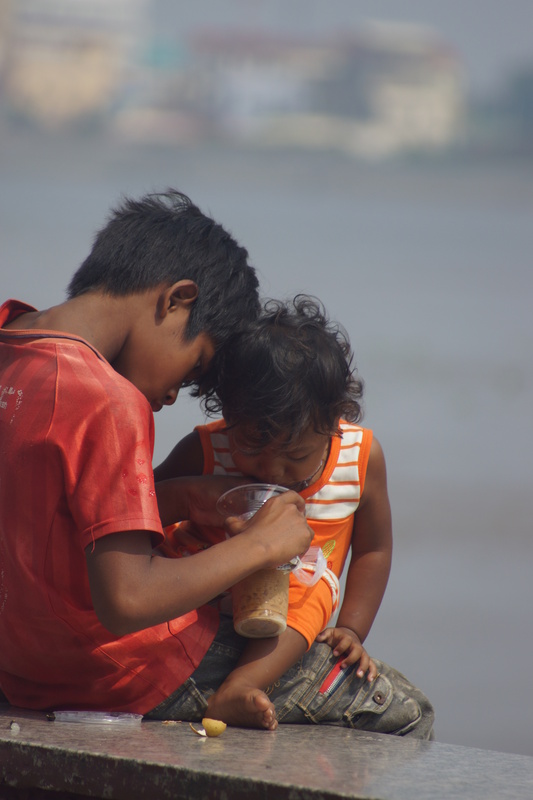 Their life is lived pretty much on the street. There is nothing like a morning of people watching in another country. From taxi drop off to airport lounge took 5 minutes tops. That’s for check-in, passport control and baggage scan. I’m not comfortable bargaining. I will do it, but then I usually pay them what they asked initially anyway. First world guilt. 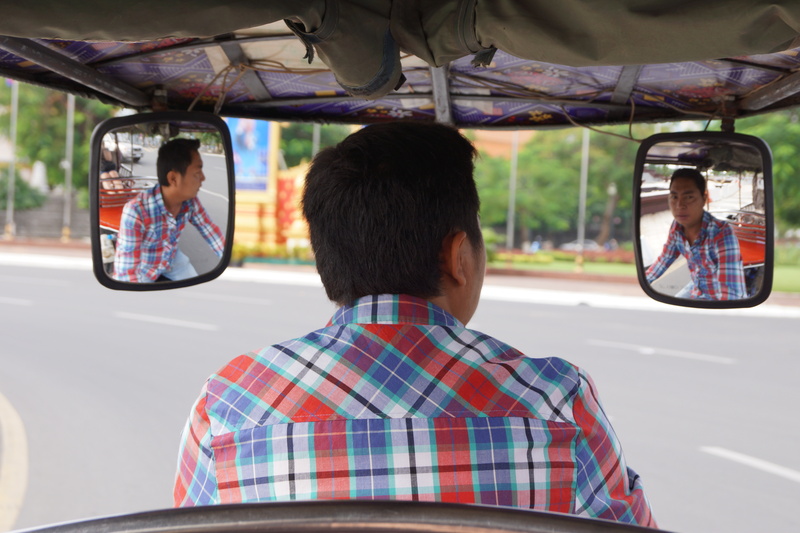 When travelling by yourself it’s a good idea to hire a tuk tuk and driver for the whole morning or day, as then you have someone waiting for you when you emerge from wherever it is you’ve been. Or if you don’t emerge someone at least knows that you’re missing. Not that I have anxiety issues or anything…. The view from a tuk tuk. 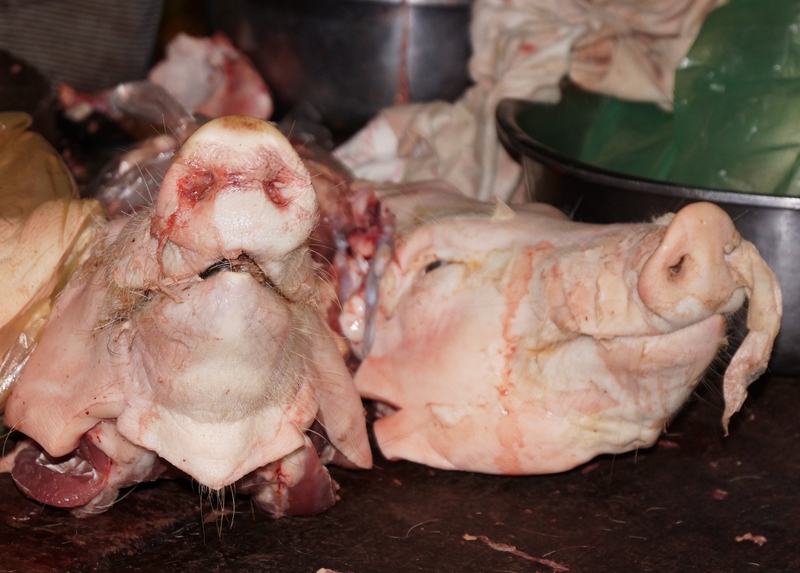 Pig’s heads in the Russian Market. 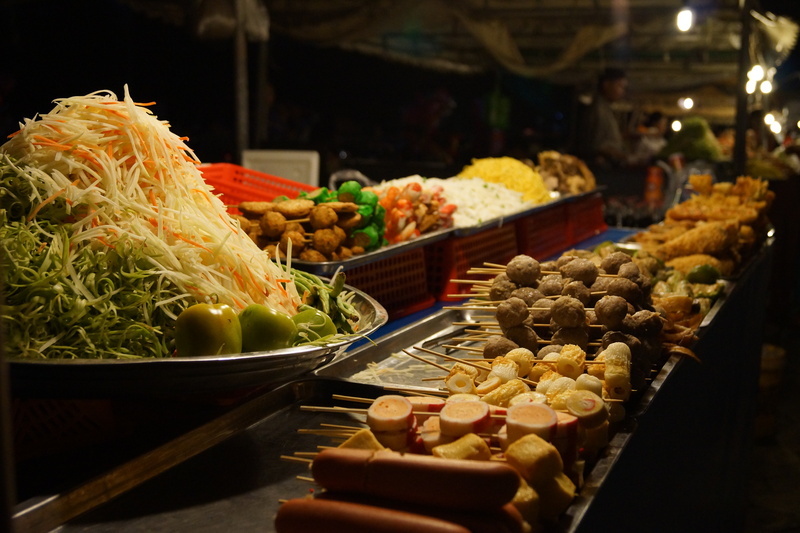 Street food at the Night Market. 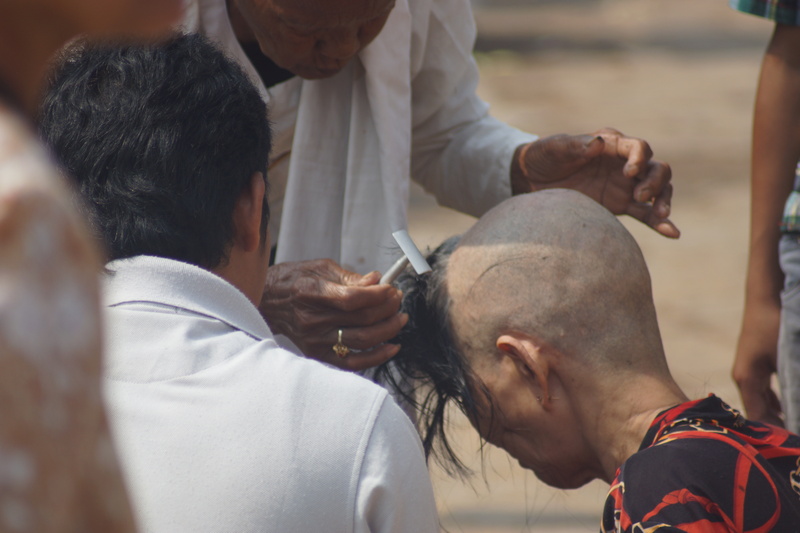 Head shaving on the riverfront. 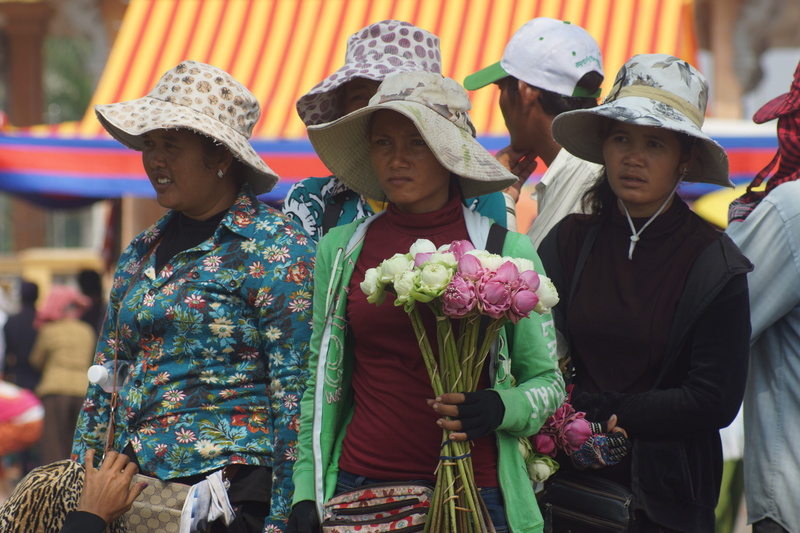 Lotus flower sellers on the riverfront. Going in Feb with the girls, excited! Great photos. 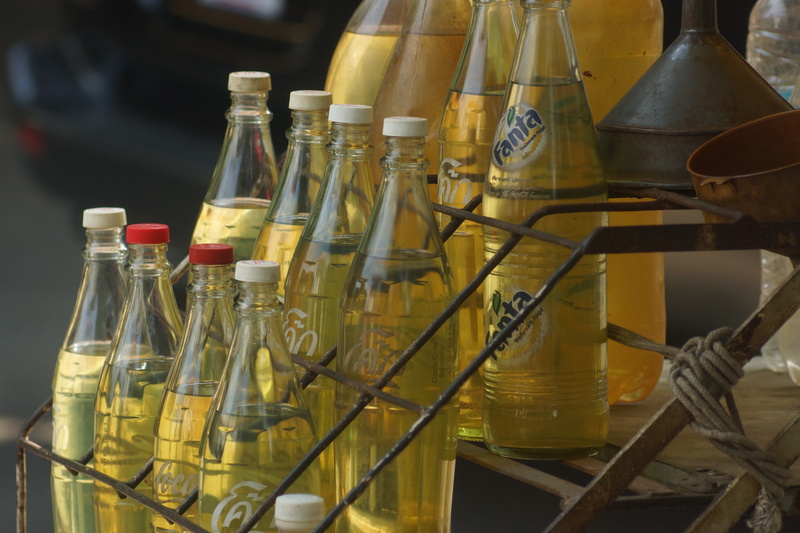 I saw the petrol for sale like that in Phuket as well – scary.